Descendants of Bounty mutineers "have better eyesight"
People descended from those who took part in the mutiny on the Bounty have better eyesight, according to a new study which has paved the way for scientists to find a cure for short-sightedness. Research carried out at University of Western Australia and published in the journal Investigative Ophthalmology and Visual Science suggests that descendants of the mutineers have some of the lowest rates of myopia in the world. The experts analysed descendants of the sailors who settled on Pitcairn Island after the mutiny in 1789 and who moved Norfolk Island during the mid-19th century and found that the prevalence of short-sightedness was half of that found in the general population. Professor David Mackey, from the University of Western Australia, said the reason could be the amount of time people the sailors spent outdoors, as greater exposure to sunlight was consistent with lower risk of myopia. In an interview with ABC Radio, he said the genetic advantage could actually have come from both populations. 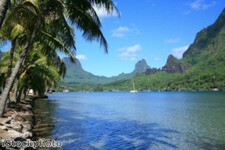 "I imagine the English sailors would have had to have very good vision, as would the Polynesian sailors. It may be that they were from populations that had low rates of myopia to start with and this has been transmitted to their descendants," the expert added.